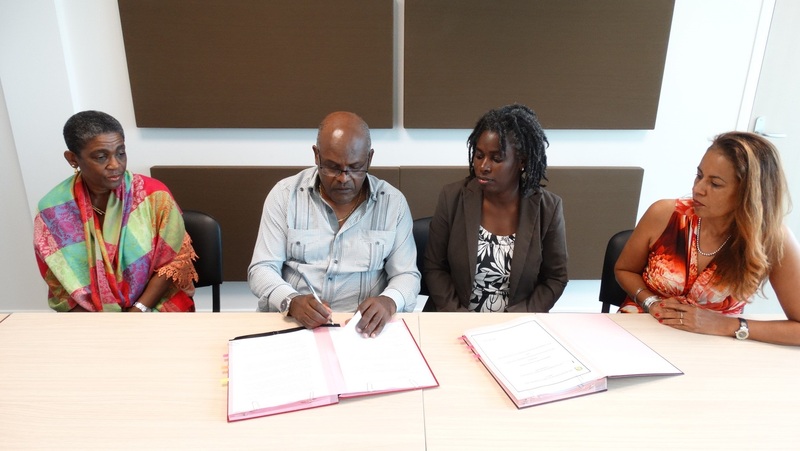 Efforts to facilitate the ease of access to medical care in the French Departments of the Eastern Caribbean for nationals of OECS Member States were reinforced by a recent cooperation agreement signed by the OECS Commission and the General Social Security Fund of Guadeloupe (Caisse Generale Sécurité Sociale – CGSS). The Memorandum of Understanding (MOU) was signed by Dr. Didacus Jules, Director General of the OECS Commission and Henri Yacou, General Director of CGSS. The MOU follows a visit of the CGSS General Director and his team to the OECS Commission’s offices in Saint Lucia in June, 2018.